A unique interior design experience awaits you. Tapis Décor Chantilly offers residential and commercial customers home decor, window treatments and floor coverings in Montreal. We have proudly served the Montreal community since 1983, offering carpets, blinds, floor coverings, fabrics, draperies, and custom decorative rugs. For us, customer satisfaction is essential. Our reputation is built on flawless, personalized customer service! Choose your next décor from the comfort of your own home with our shop at home service! With the help of one of our consultants, you'll choose the products you want from an impressive selection of blinds, fabrics, floors and more. We can take the necessary steps to facilitate the installation work and save you time and money. This is a unique and personalized decorating experience that we are proud to offer our clients in Greater Montreal! When it comes to interior decoration, the variety of options is what makes all the difference! As decor specialists, we know that the variety of textures, colors and patterns is extremely important. 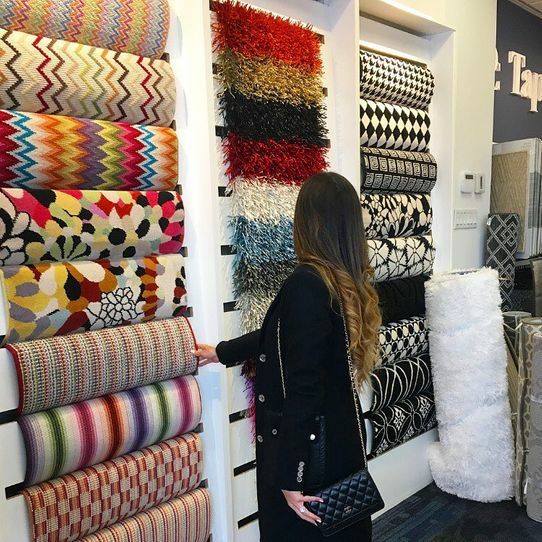 Whether you're looking for blinds, flooring or decorative fabric, you'll find in store an impressive selection of products from well-known suppliers! Have a Look at Our Showroom! You will find a large number of samples in store and, of course, a team that is always happy to help you find what you are looking for. It will be a pleasure to see you at our store soon! Our team is always on top of the latest in interior design.